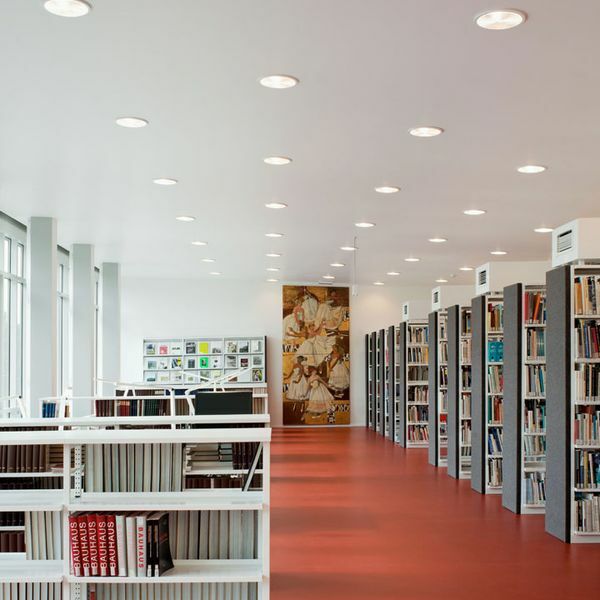 The Bauhaus Dessau Foundation, together with the Anhalt University of Applied Sciences, obtained a library in the immediate vicinity of the Bauhaus. 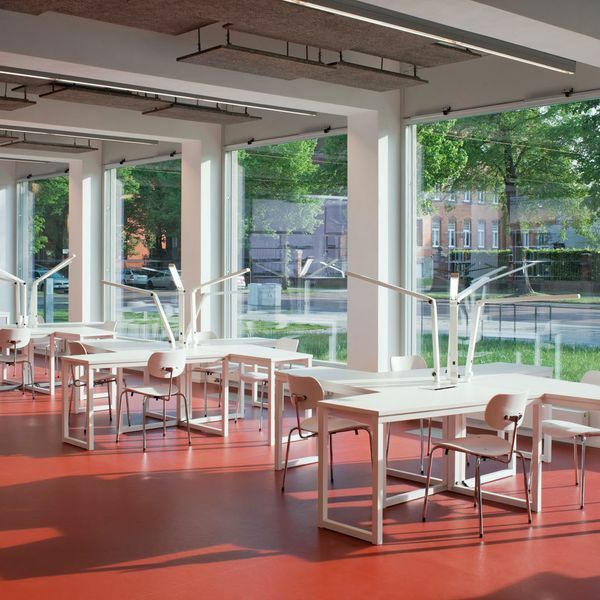 The new library is accommodated in a former dance café from 1963 and supplemented by a new structure that faces the Bauhaus building. The dance café is a now rare example of the former GDR's contemporary architecture, and its form and incorporation into the town planning were approved by Walter Gropius. This sensitive integration into the context was destroyed by extension and conversion work that began in 1969. On consultation with the town planning and heritage conservation authorities, the new planning process was based on demolition of the resulting extension. 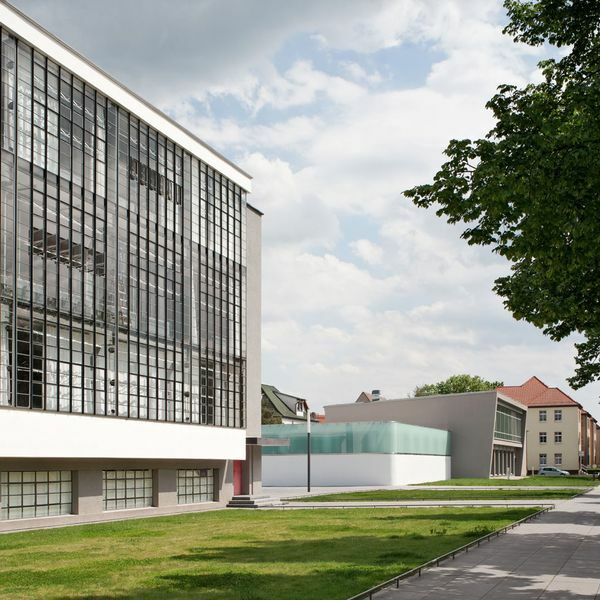 The new building, facing the Bauhaus, with its reserved appearance defined by smooth plaster and opaque glass, acts as an urbanistic link between the Bauhaus's workshop structure and the pre-existing building. For energy optimization, the envelope of the old building was insulated very efficiently on consultation with the State Office for Preservation of Historical Monuments, and the surface of the roof above the workshop and reading area was equipped with micromorph solar cells, taking the view from the UNESCO World Heritage Site into account. These measures constitute an essential part of the energy-oriented renovation of the Bauhaus Dessau Foundation's buildings.